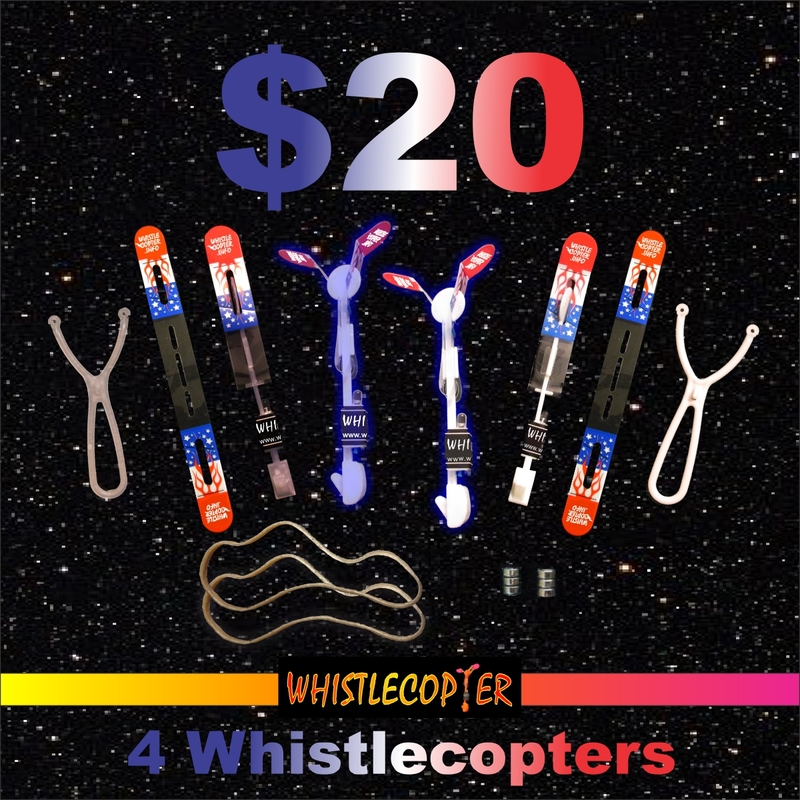 Give this Great Deal to someone: Five Whistle Copters in blister packages with pre-folded wings and our exclusive Viper Launcher as a wonderful gift or use them yourself, for the fantastic price of $25. Each package contains 1 Whistle Copter (PATENT) with wings folded in the package ready to fly. 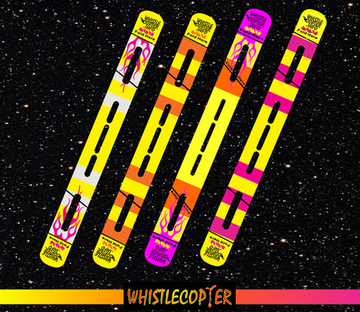 Each has a seven inch red rubber band to attain the highest flights. 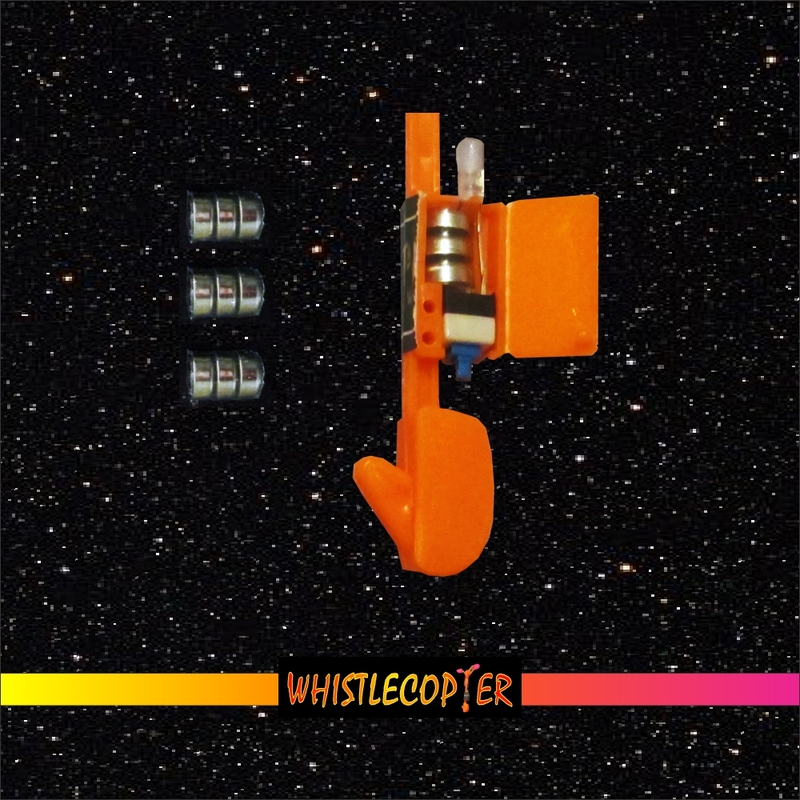 We are Whistle Copter,with a Patent not a copy or cheap knockoffs. 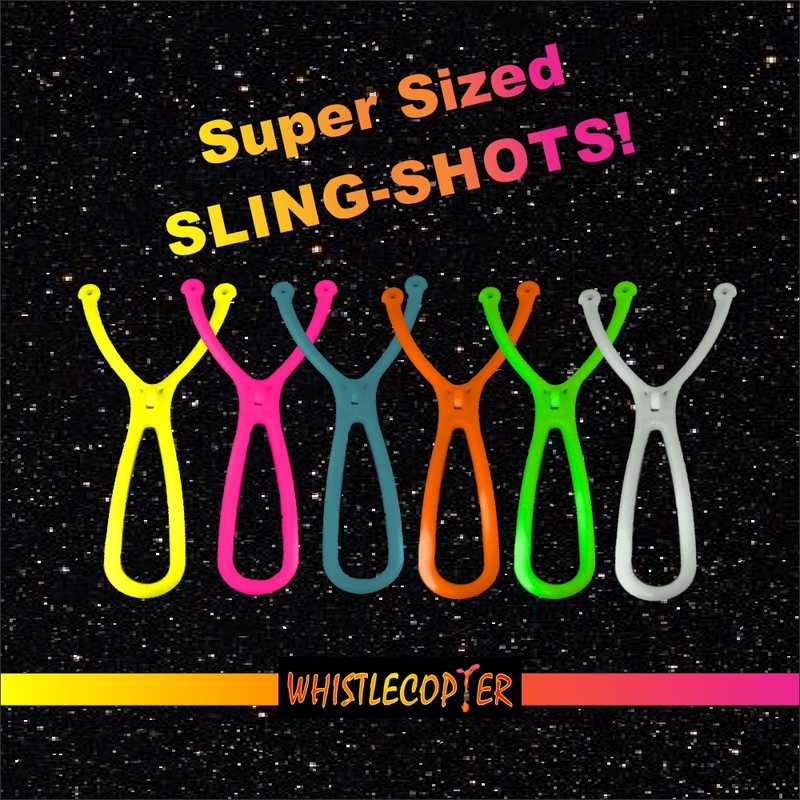 The height (200 feet) that our Whistle Copter achieves is because of the quality plastic that is used in all aspects of the Whistle Copter. 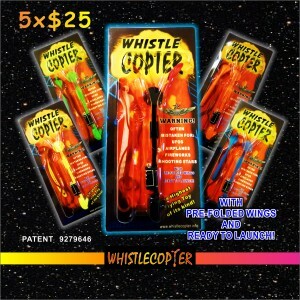 Our Whistle Copter is PATENT . 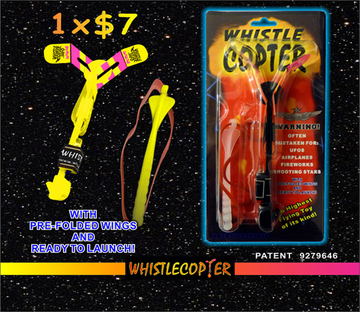 Any other Copter is a fake and was not invented by Whistle Copter and is infringing on our patent. Our wings are much thicker and maintain the crease very well. Our wings will never flap in the air hence our copter spins down right to you after hovering in the air at the maximum height of 200 feet if shot correctly! 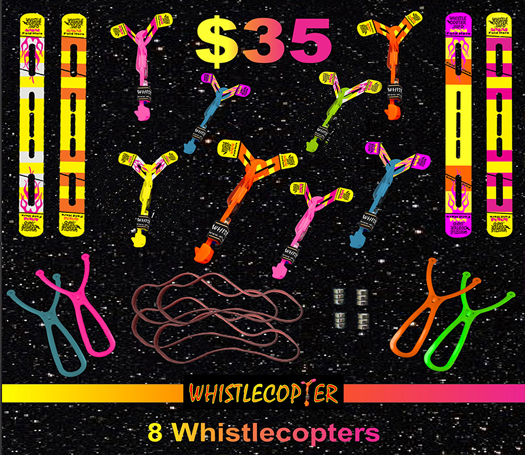 Every different colored copter will have a different wing design so they will all look different coming down from the sky. Wings are folded but you can fold a little more or less if needed. 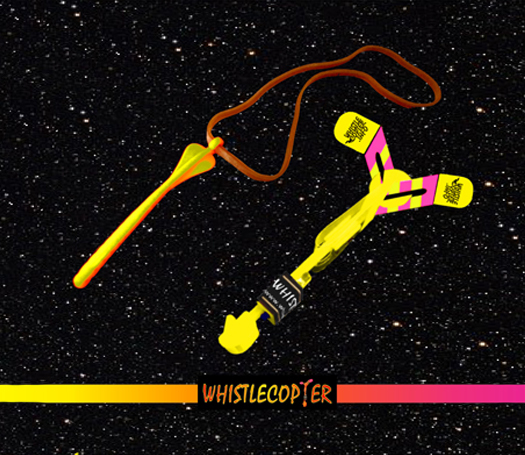 Launch the Whistle Copter into the wind with our exclusive Viper launcher, when it reaches the maximum height it will come back spinning in the air with its blades open so you can catch it. It is important that you read the instruction card included in the package carefully before starting your first launch. Also check our pro wing folding video on our site so that you can attain maximum height. My daughters friends keep losing their rubber bands, I love the packs that come with extras!! Do not buy the cheap ones!!! 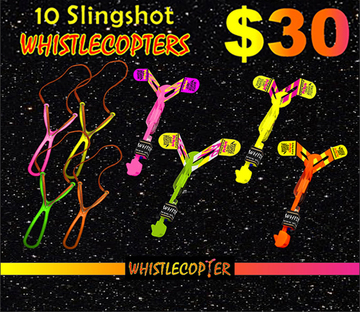 There is a significant drop in quality.. Get the original Flashcopters! 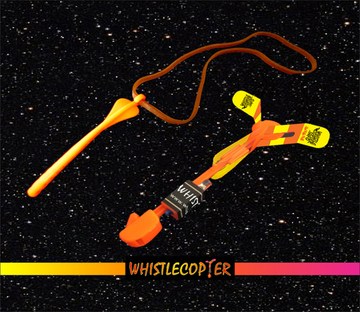 My daughter gave a kid at school a flashcopter for his birthday.. She loved it!! 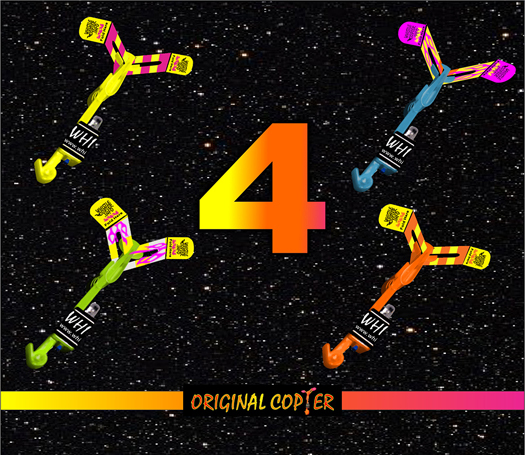 I brought 3 flashcopters to the park last week and let me tell you what happened. I made so many friends, and talked to so many cool people, all over the combined interest of watching the Flashcopters soar into the sky. 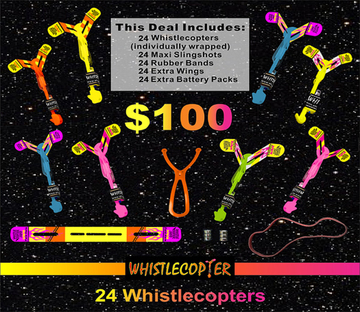 This toy will literally attract people to you, and you will be the life of the party in no time! 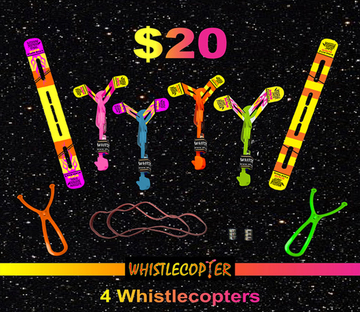 Fantastic design, fun and kid friendly!